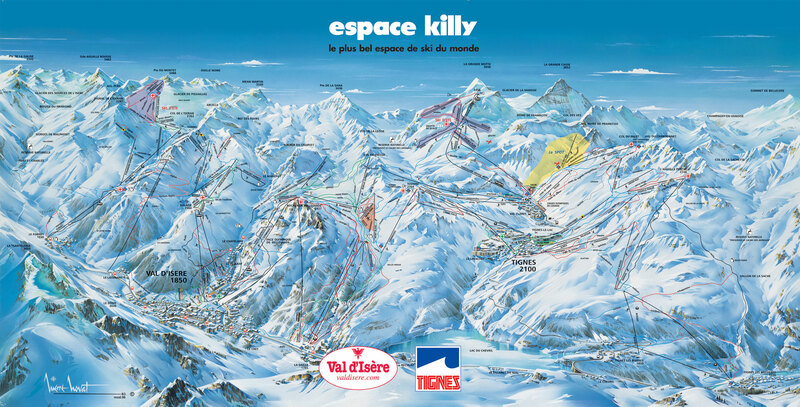 In the last few years, the ski area of Val d'Isere and Tignes, officially named Espace Killy, has been completely renovated and enlarged allowing it to be classified as one of the most beautiful, Olympic level ski areas in the world. 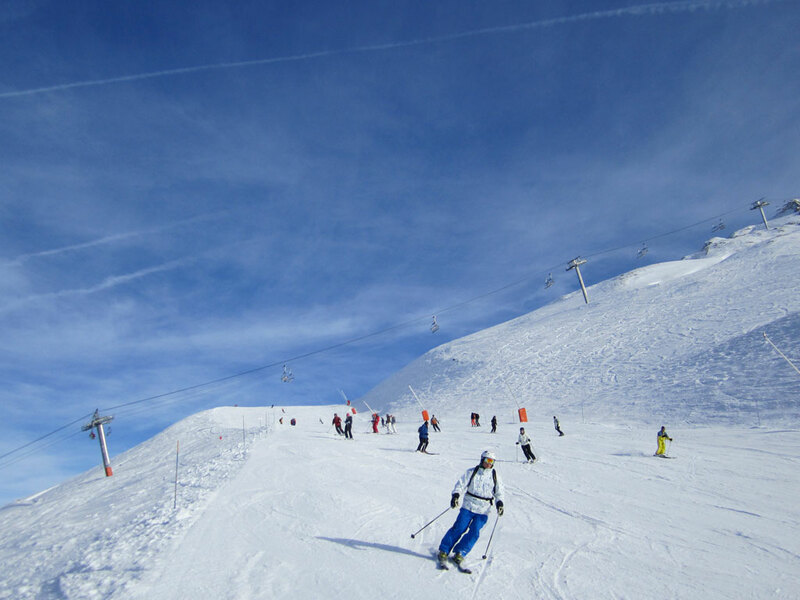 Thanks to this, every skier, with the exception of complete beginners, has a wide range of ski slopes to choose from in the Espace Killy in either Val d'Isere or Tignes. 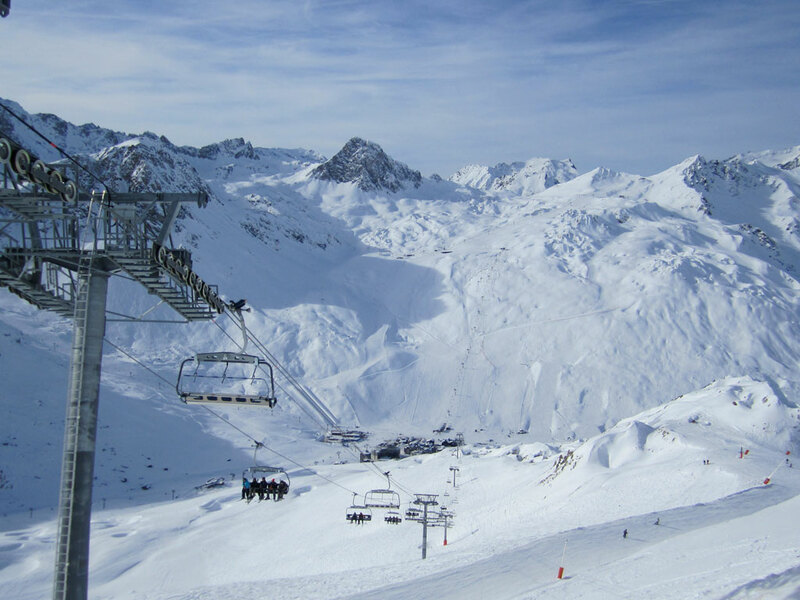 Steep black runs, sunny south-facing slopes, wide ski slopes for cruising and outstanding off-piste skiing, all well supported by an excellent ski lift network are what you can enjoy on your ski holidays in Tignes and Val d'Isere. 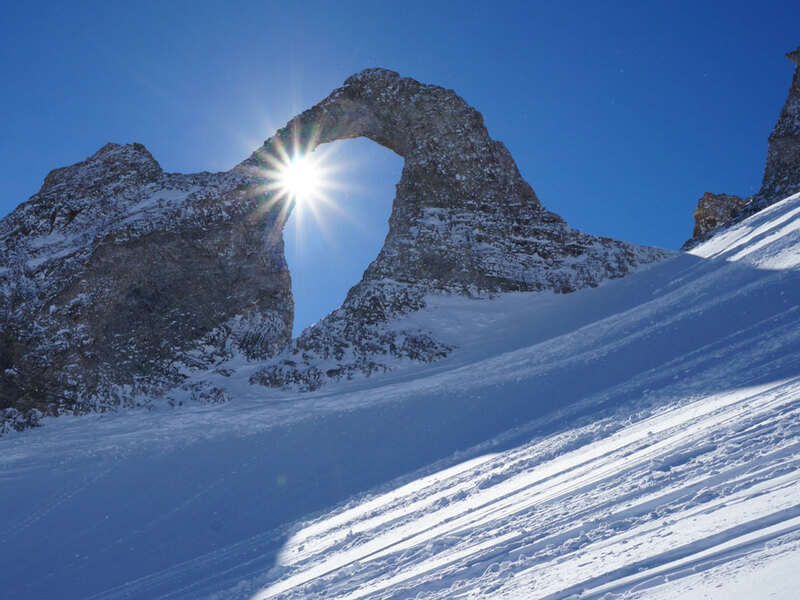 For those looking for an adventure off-piste, it is advisable to make use of the services of a professional, local ski guide as the off-piste areas in the Espace Killy around Val d'Isere and Tignes are vast and the lunar landscapes can be a little deceiving! 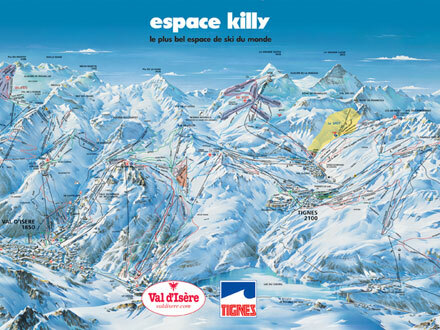 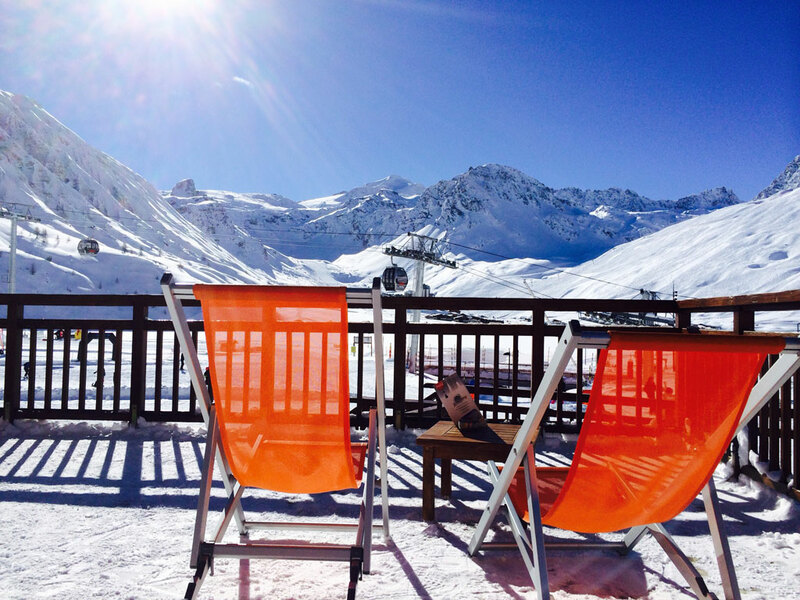 The skiing in Val d'Isere and Tignes in the Espace Killy ski area is well-known for being an expert’s paradise. 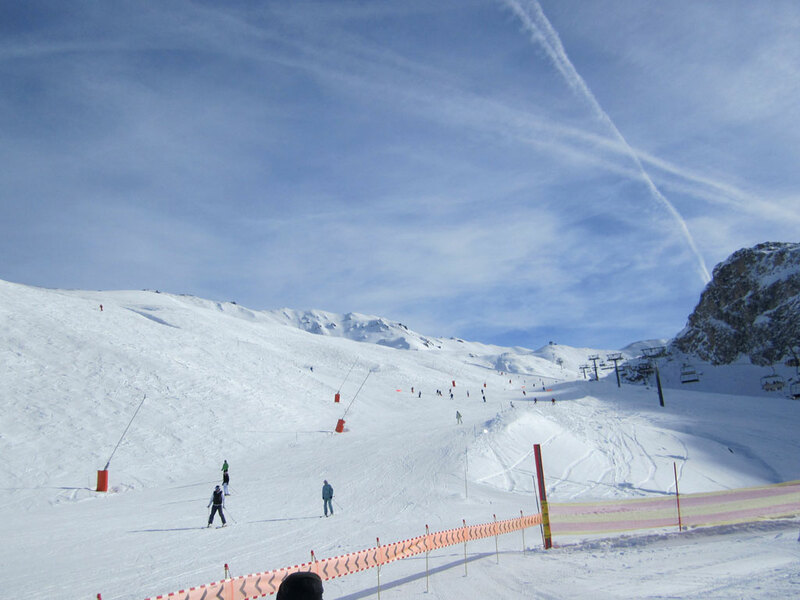 However, intermediate skiers can enjoy cruising all day long on the beautiful red slopes in this ski area. 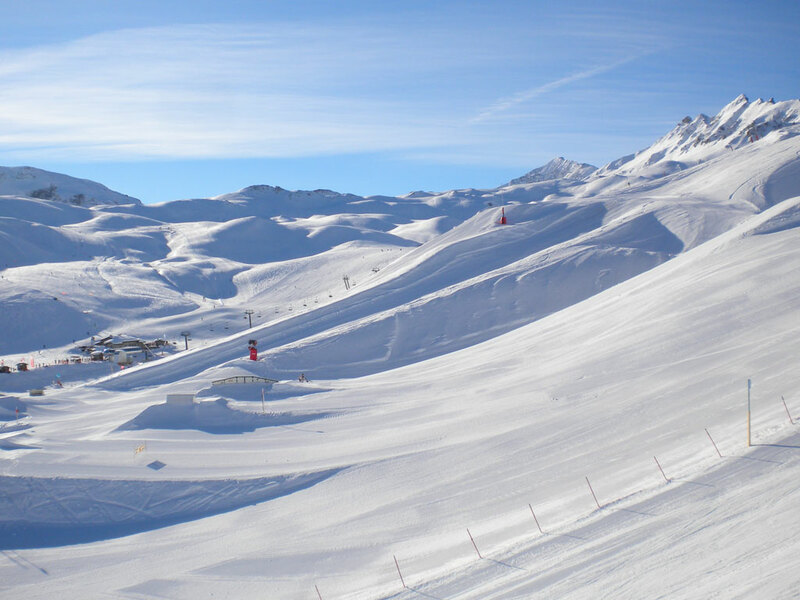 There is plenty of skiing for beginners in Val d'Isère and Tignes but the lack of easy intermediate slopes in the Espace Killy area means the learning curve is particularly steep once they are ready to move onto the real stuff. 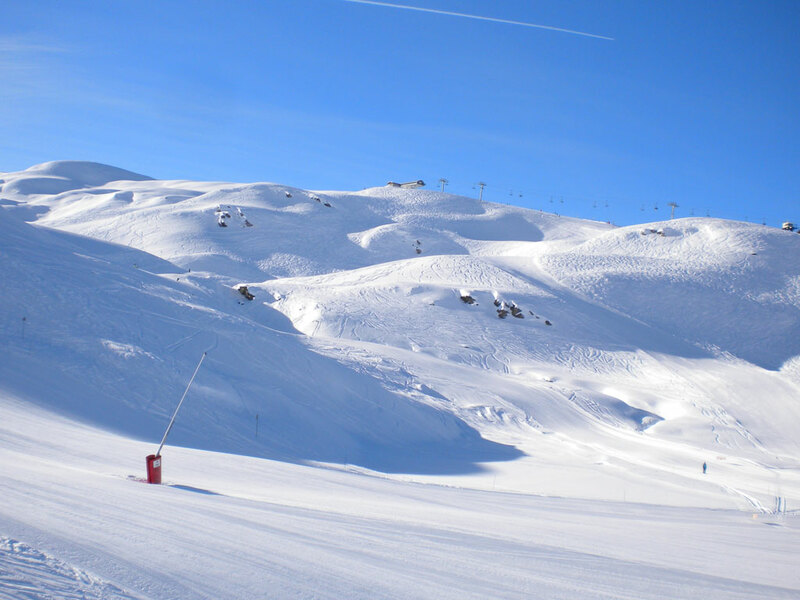 There are good blue runs up at high altitudes but if you choose Val d'Isere for your ski holidays, the best way down is by the gondola lift to avoid the rather daunting options to get back to the resort: the infamous ‘La Face’ down from the Bellevarde or the Olympic downhill in La Daille! 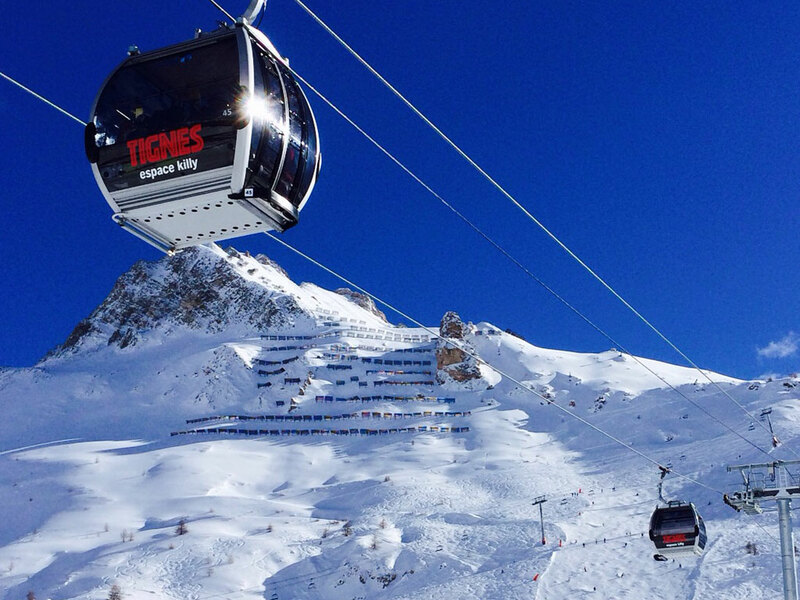 From both Val d'Isère and Tignes, there are some free ski lifts for beginners. 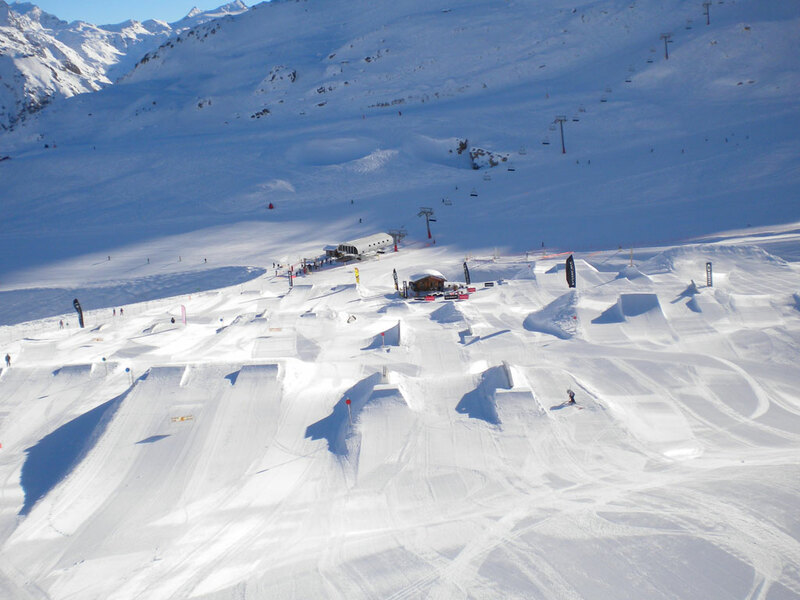 The snow park in Val d'Isère is world-class and often hosts top level competitions that are enjoyed by the public from the sunny terrace of the Les Marmottes restaurant! 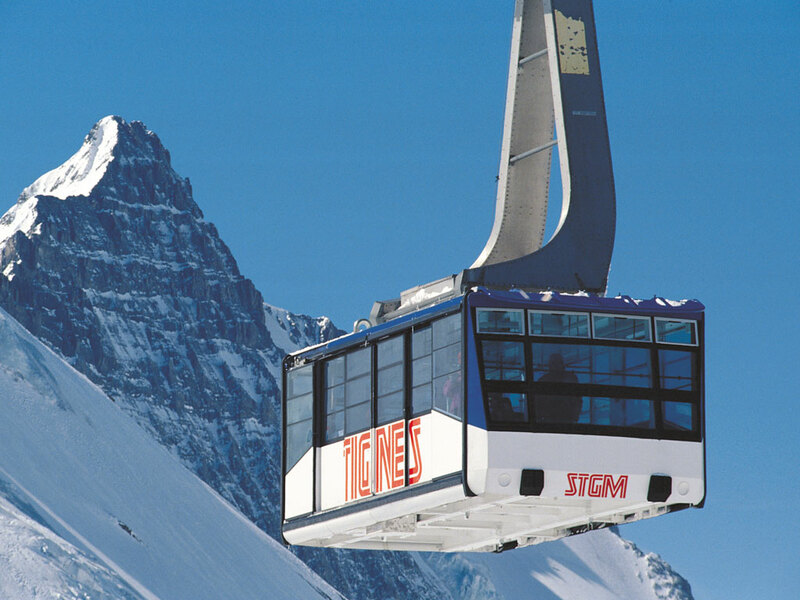 Summer skiing is also possible on the Grande Motte glacier at Tignes. 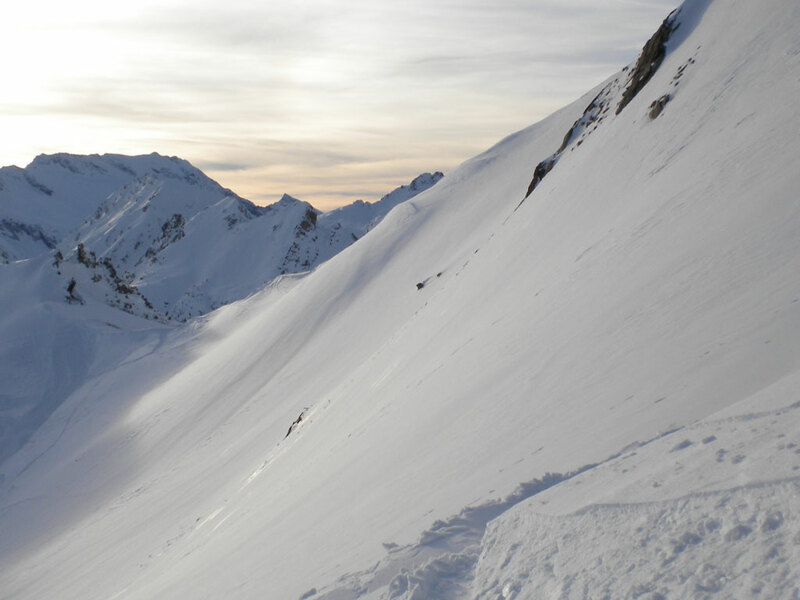 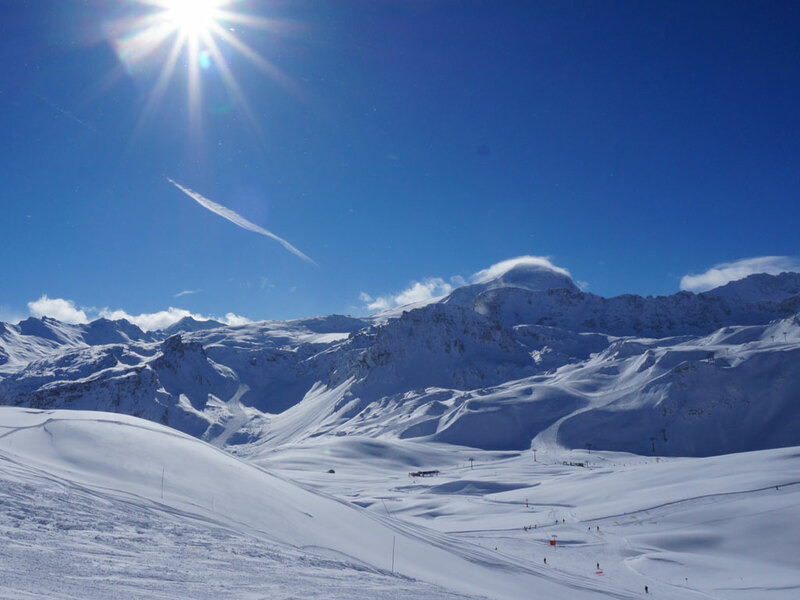 Easily accessible from Lyon, Chambery and Geneva, the Espace Killy ski area is a great destination for a spot of weekend skiing in either Val d'Isere or Tignes!